It’s that time again, and we at Gifts for the Homeless already have our eyes set on the summer’s biggest rock show, the 12th ANNIVERSARY Banding Together – Battle of the Law Firm Bands on Thursday, June 18, 2015. The show will once again be presented in the heart of Washington, DC on two stages at the Black Cat. We are excited to once again beat all expectations at Banding Together! 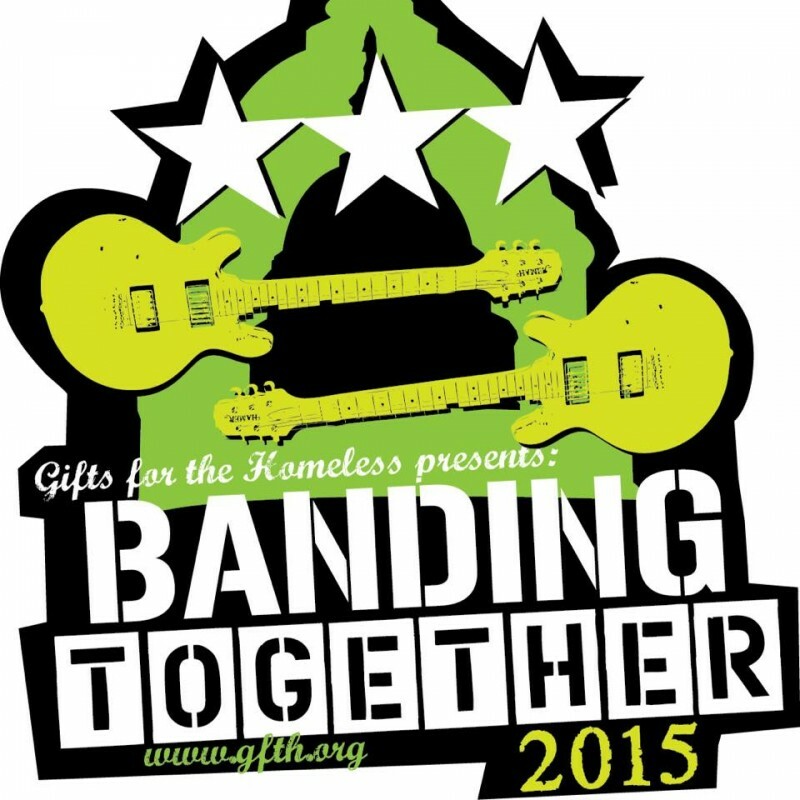 Use the link right here to support Gifts for the Homeless by “voting” with your donations for your favorite among our sixteen bands. Every dollar you donate goes to purchase essential clothing and winter items for distribution through the shelter system in Metropolitan Washington and brings your band closer to the title of “Top Lawyer Band in DC.” Vote Early and Often! 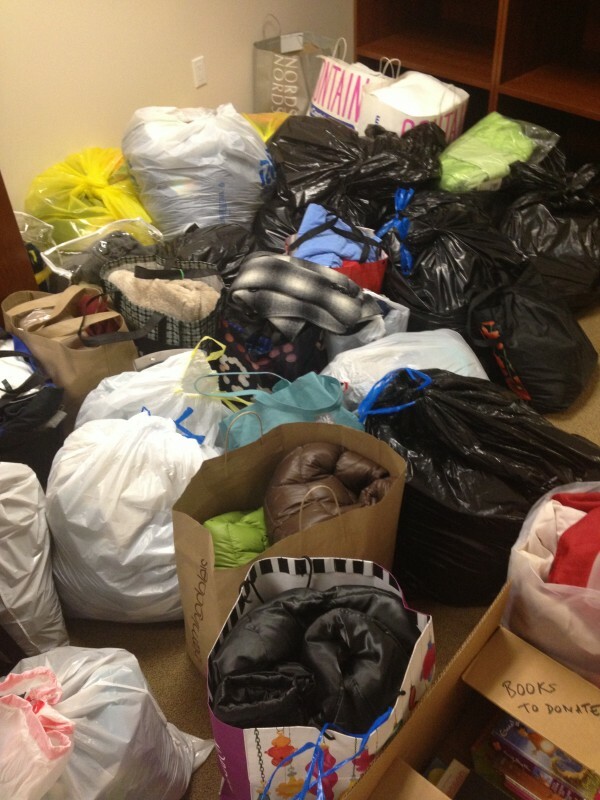 A few months ago, we posted this great article, “3700 Reasons to Love GFTH,” by Bisnow that profiled our most recent annual used clothing drive. In its 28th year, Gifts for the Homeless and nearly 400 volunteers sorted and delivered a whopping 3,700 bags of clothing to nearly 60 shelters and homeless service organizations in the DC area. Planning is already underway for next year’s GFTH Banding Together. The battle of the law firm bands gives lawyers a chance to be rock stars for the evening; it hopes to raise more than $250k for new clothing for area homeless in 2015. Please stay tuned in to our website and social media once we have more information to share with you about our upcoming Banding Together live benefit concert in DC this summer! The following is a guest blog contribution from Pathways to Housing​ DC​. We thank Pathways for its contribution and hope Dean is doing well. The Pathways to Housing DC Homeless​ Street​ Outreach Team ​met Dean earlier this year sleeping on the downtown streets. Dean was wary of the team​ at first​ and insisted he was not in need of any ​of their ​services. 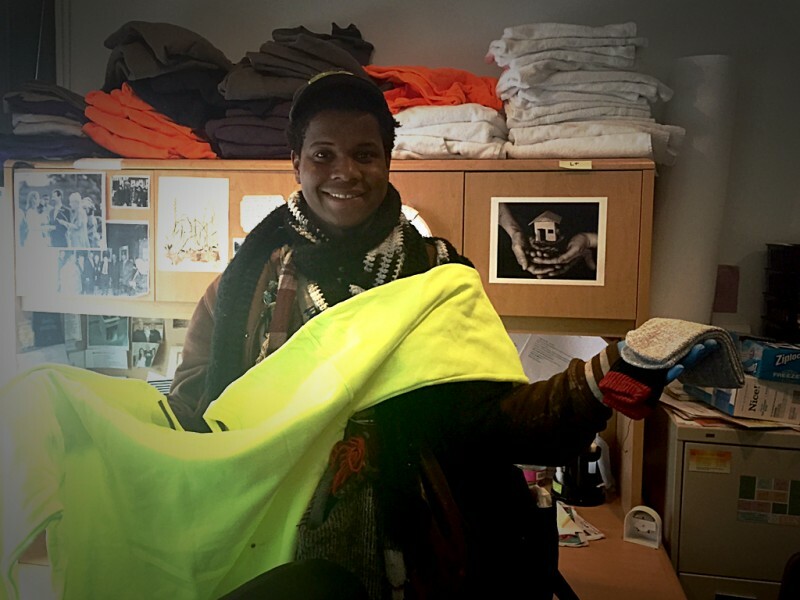 ​However, on one cold day after months of the team reaching out to him, Dean finally accepted a pair of dry socks​ that had been donated from partner organization, Gifts for the Homeless. Soon Dean was meeting with the team weekly for showers​ and accepting other donated warm, dry clothing as he needed it. Dean’s trust in the team has grown and he has started to open up to the idea of receiving additional supports and benefits. Of all the things that the outreach team does from food stamp benefits to housing​,​ sometimes the most meaningful thing​ they can offer​ is the kindness, comfort and dignity of clean clothing. 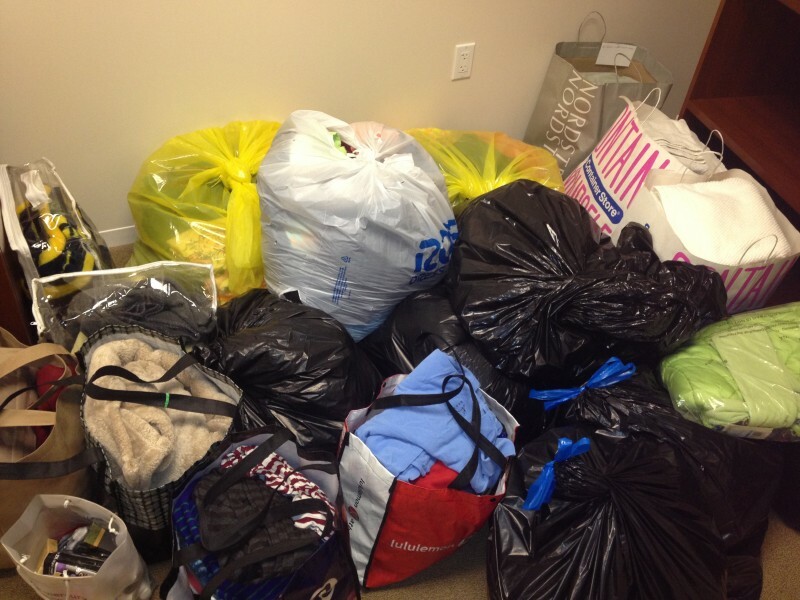 Vinson & Elkins LLP is gearing up for the 2014 Gifts for the Homeless Clothing Drive! 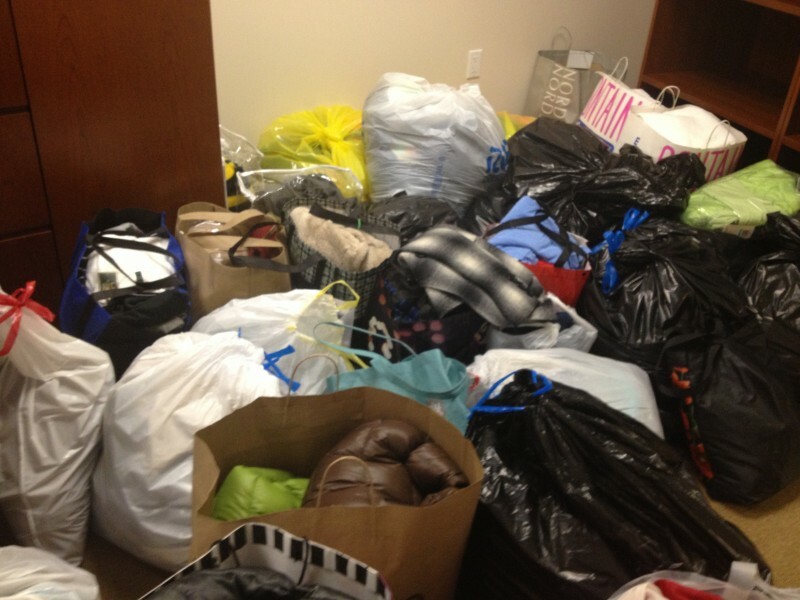 From warm hats and sweaters to professional suits and full length coats, the attorneys and staff at V&E are cleaning out their closets to help those who are less fortunate. The evidence is right here before your eyes. They also have on-site volunteers ready to roll up their sleeves and begin sorting clothes this coming Friday morning. V&E is a great example of what the local legal community can do to help the homeless. We look forward to receiving their generous donations and working side by side with their volunteers this coming weekend.